A Mobile Outdoor Gas Grill & Cart Unit For The True BBQ Aficionados! 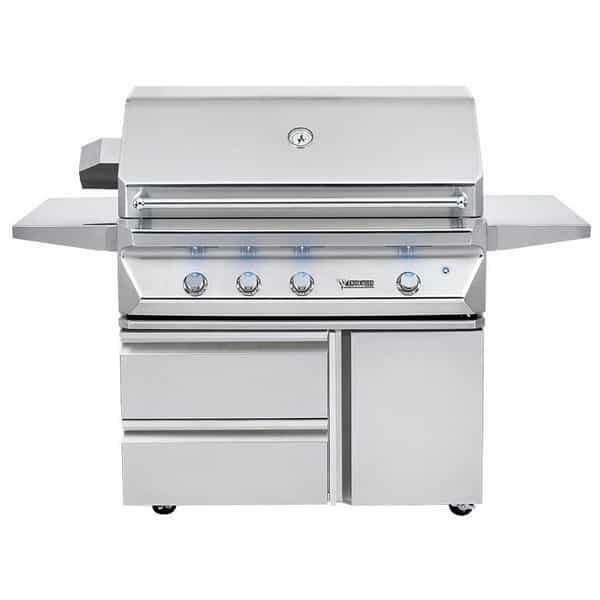 True BBQ aficionados beware: the 42" Outdoor Gas Grill with Base from Twin Eagles Grills is the best grill and cart combination available on the market. 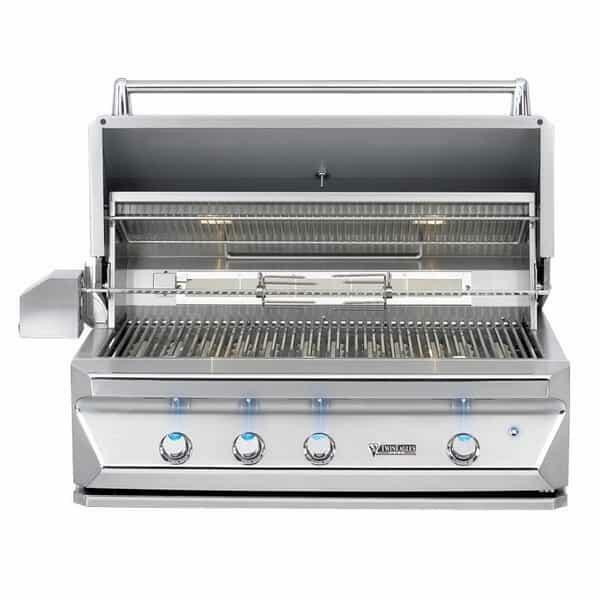 Twin Eagles starts with an exceptional gas grill head to build this model, which utilizes a mix of radiant heat from ceramic briquettes and direct heat from gas flames. Precision cooking is possible with this system, since the combination of briquettes and traditional flames erases hot zones, virtually eliminates flares and allows the interior to quickly build and efficiently gather heat. We promise this grill will save time and reduce gas bills! This grill head produces an eye-popping 75,000 BTUs of cooking power, one of the largest outputs in the industry! And the grill base is equally awesome, with sturdy casters for effortless movements around the patio, backyard or garage and a pull-out tray for either a trash receptacle or liquid propane gas tank. Be sure to browse the special upgrades that are possible with this model, which are in the drop down menu to the right of the main image found on this page.